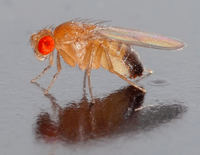 Oregon State University tentatively has scored a $5.8 million grant to battle the spotted wing drosophila. As we reported last fall, this fruit fly has been attacking ripe fruit in the Pacific Northwest and causing widespread damage. Fruit and berry growers are the main victims, but nurseries growing fruit trees and shrubs also have reason to be concerned. The Oregonian has coverage of this new grant, as does Capital Press (Salem, Ore.). According to the Oregonian, the grant requires a local match, and Oregon growers already have pledged $4 million.